D=70mm/H=11mm. Screw caps silver made of aluminium, inside and outside protective lacquered. Screw Caps with food safe sealing insert. Screw thread: SP 400. All Alu Screw Caps are made of aluminium. All Alu Screw Caps are perfectly suitable for groceries. 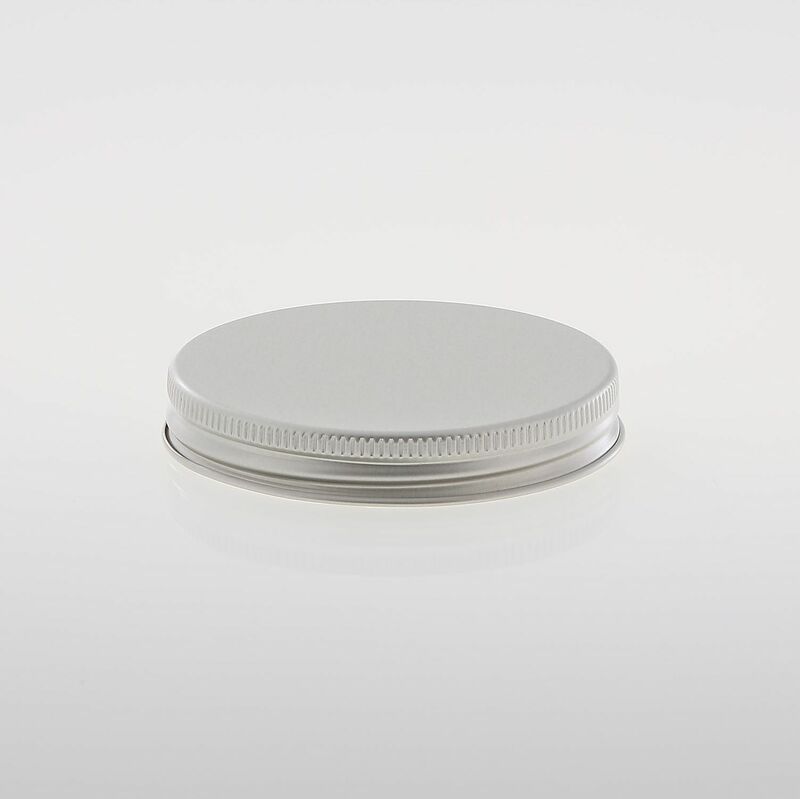 These Alu Screw Caps are inside and outside coated with food safe, clear protective varnish, further enhancing the elegant aluminium surface. The Alu Screw Caps are equipped with a food safe and FDA-approved LDPE sealing liner (F 217-3). Particularly suitable for containers made of plastic (PET) or glass for food, cosmetics and pharmaceuticals. The screw caps are delivered loosely packed in PE-bags in boxes. If you are not sure if our aluminium screw caps fit on your container, you can request samples from us!